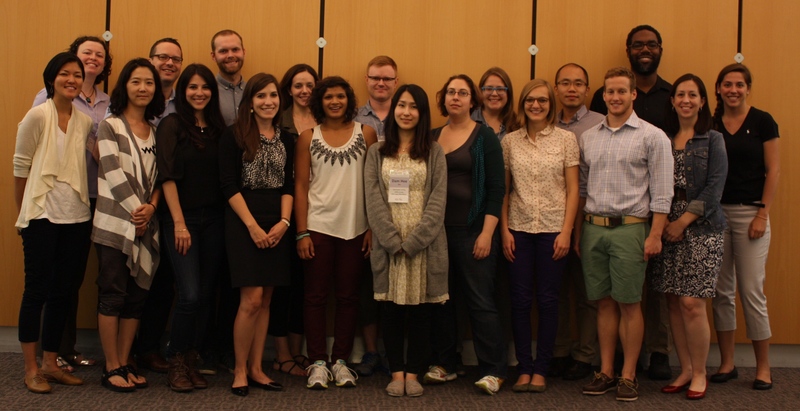 This page highlights some of the workshops hosted by the Web Use Project at Northwestern University. The Web Use Project in the School of Communication at Northwestern University hosted the three-day Doctoral Workshop on Developing Best Practices for Using Digital Tools to Study Human Behavior in Online Environments from August 18-20, 2013 in Evanston, Illinois. The Alfred P. Sloan Foundation funded the entire cost of the workshop. The workshop brought together twelve outstanding doctoral candidates and five mentors to discuss methodological best practices for the in-depth study of human behavior in digital environments. While so-called "big data" offer lots of opportunities to study the social world, using such data may miss insights that methods such as in-person observations and interviews can discover. Bringing different types of data and methods together can help address challenges, such as biased data sets, and can help glean new insights. Workshop participants, who were selected through a competitive application process, shared information and insights gleaned from their ongoing research projects. They discussed obstacles to collecting and analyzing the sort of “deep data” useful to understanding human behavior in digital environments. Participants also outlined a variety of opportunities for improving the in-depth study of human behavior in digital environments include developing and disseminating resources; improving educational opportunities; creating opportunities for funding, personnel, and equipment; standardization; and publishing. 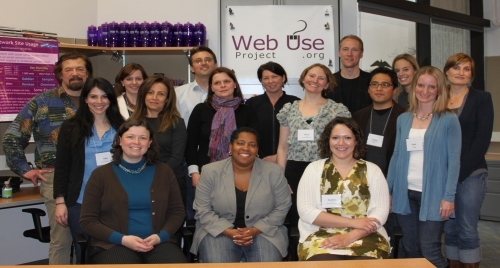 On April 14-15, 2011, the Web Use Project hosted a group of 17 international scholars with a wide range of research interests who share a common methodology: the use of log data in combination with observational methods to study behavior in a variety of online contexts. While several researchers, including those affiliated with the Web Use Project, use such methods to study information-seeking online, other scholars use these methods to study behavior in online communities, virtual worlds, and games. The meeting was held to bring together members of the Log Methods and Measures of Online Behavior (Log-MOB) Working Group, funded by a grant awarded to Eszter Hargittai by the Digital Media and Learning Hub at the University of California, Irvine through the support of the John D. and Catherine T. MacArthur Foundation. The goal of the group made up of international scholars representing both academic institutions and industry is to encourage conversations about, sharing of, and collaboration regarding new methods required for such research. The hope is that researchers can develop methodological approaches that can be replicated by others, that they document methodological details carefully for sharing, and that they start using standardize measures that can facilitate comparison of findings across studies. Building a community of scholars whose experiences with such methods can be shared will avoid the need to reinvent the wheel each time researchers launch a new study in this area. This initial meeting inspired discussions among scholars about how best to prepare, gather, and analyze data, share information, and evaluate the work of others. Members also decided on a name for the methodology which will facilitate easier identification of other scholars using similar methods, “log methods and measures of online behaviors” (Log-MOB). Attendees were enthused about the prospect of future meetings at which further discussions about best practices in Log-MOB will take place.